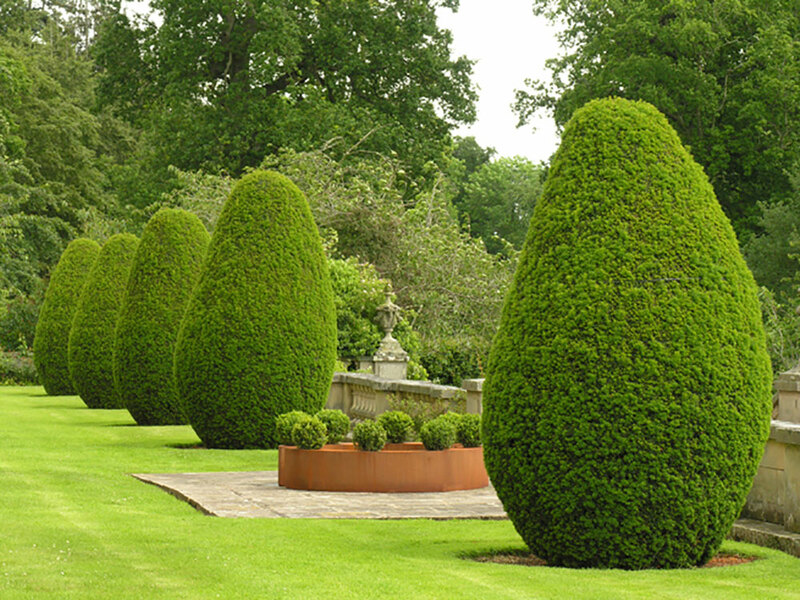 Corten steel sculpture consisting of two half-rings with eight Buxus sempervivum balls in a line with eight Taxus Trees. Site-specific installation. The sculpture was conceived in response to the existing 250-Year-old ‘Taxus’ trees on the main terrace. The Scottish Gallery Summer Exhibition at Mellerstain House.